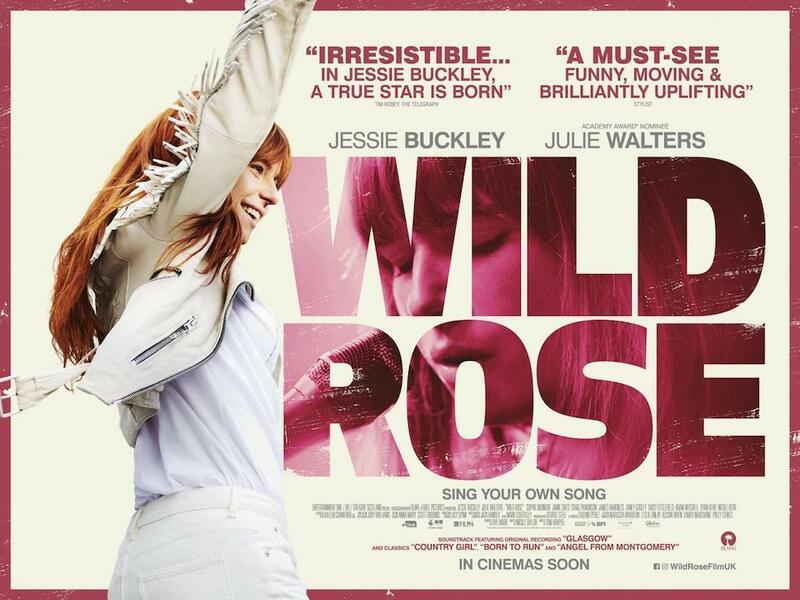 Rose-Lynn Harlan (Jessie Buckley, “Beast” a NOSFA screening) has dreamt of becoming a country music star. But Glasgow isn’t exactly Nashville, and, as a convicted criminal and single mother of two young children, Rose-Lynn is more country song than country starlet. Just released from prison, forced to wear an ankle monitor and keep curfew, she can’t return to her job as the house-band singer at Glasgow’s Grand Ole Opry. Sporting her white cowboy hat and white leather cowboy boots, Rose-Lynn lands a new job as a housekeeper for the lovely, and very posh, Susannah (Sophie Okonedo). After catching her singing on the job, Susannah’s kids quickly become Rose-Lynn’s biggest fans and Susannah her enthusiastic patron, determined to help her get to Nashville. But Rose-Lynn’s dreams come at a cost. Her mother (Julie Walters), has always done what she can to help her daughter, but she also wants her to take responsibility and act like the grownup that her kids need her to be. Buckley delivers an unforgettable performance as Rose-Lynn, showing off a smashing singing voice. Director Tom Harper brings Nicole Taylor’s beautiful, textured script, full of authentic characters and unexpected turns, to life in Glasgow, a city that, like his protagonist, might appear gritty on the surface, but is bursting with spirit and personality.